With its sophisticated styling, the newly-redesigned 4-Star Novotel New York Times Square invites you to experience the electricity of Times Square. 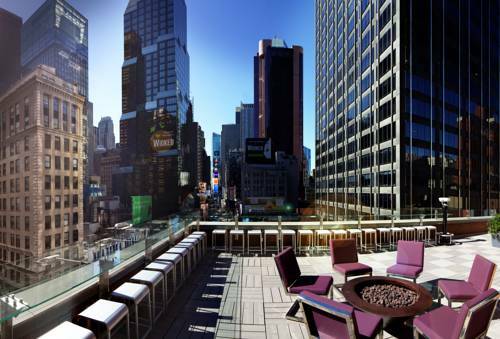 Located in the heart of Manhattan, right in the Theater district, our unique Midtown luxury hotel is within walking distance to New York's best attractions, including Times Square, Central Park, and the prestigious 5th Avenue. You'll be captivated by our stunning panoramic views of Times Square at our trendy new restaurant Supernova. No cancellation charge applies prior to 18:00 (local time), up to 1 day prior to arrival. Beyond that time, the first night will be charged.